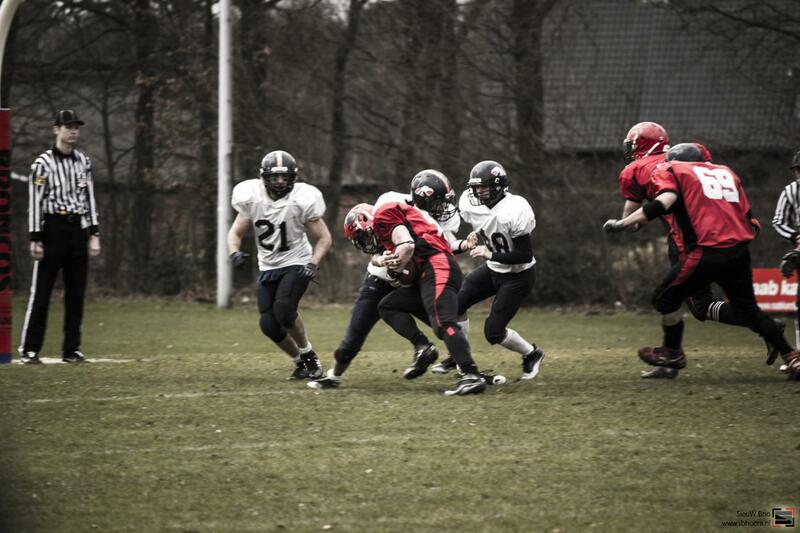 Home News Netherlands: Broncos Anniversary Celebrated With A Victory! Netherlands: Broncos Anniversary Celebrated With A Victory! Enschede Broncos had their 10 year anniversary on the day of their homegame against Eindhoven Raptors. After a quick three and out, forced by the Broncos defense, the offense went straight to scoring a Touchdown in the very first possession. Australian player Joel van der Meer was able to catch a pass by QB Jasper Nijland and the two point conversion by the Broncos was good for a 08-00 start. Shortly after the second TD, and a successful two point conversion was good again, birthday boys had a solid lead in the game. 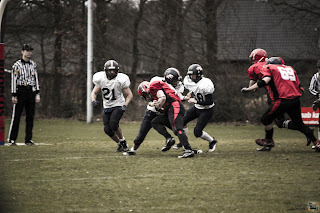 The third quarter was a very strong one for the guests of Eindhoven and they managed to score a TD, however PAT failed. In the 4th quarter, home team picked up where they left, and took over the control of the game and started pushing back the Raptors Defense deep into their redzone, resulting in another TD for the Broncos, this time by Pieter van Beest. PAT was not good and the final score was 22-06. In two weeks both teams will meet again for the return game in Eindhoven.